"To all the MacDougal/Lape family. Ben and I were so sad to..."
"I have meet you with Cynthia at your house when i was at..."
"Prayers to Martha's family. She was an exraordinary lady..."
"To Jeff, Ethan, Isaac, Brecken and the Lape siblings..."
PORTLAND - Late in the evening of Wednesday, August 29, 2018. 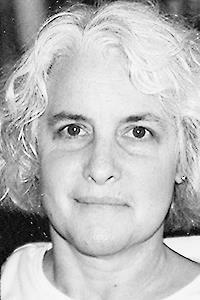 Martha Lape MacDougal re-entered an elemental state with her loving family by her side. One year ago, Martha was diagnosed with kidney cancer and she did everything she could to fight it, but in the end, she left this world valiantly and peacefully. She and her family donated her body to the Steven E. & Catherine Pappas Center for Neuro-oncology at Massachusetts General Hospital in the hope that her disease and death could help facilitate reasearch to enhance and lengthen the lives of others. Martha was born in Boston on May 8,1949, the third of six children, to Mary Lemoine Lape and Dr. C. Phillip Lape. She grew up in Portland, graduated from Portland High School and the University of Southern Maine, and continued to live in the city she loved for her entire life. On Sept. 7, 1969, she married her college sweetheart, Jeffrey MacDougal, with whom she shared 49 joyful years and three children. Residing for most of her married life at 149 Pine St., just blocks from her childhood home, Martha was legendary for the social gatherings that she hosted. There wasn't a birthday or holiday that wasn't celebrated at Pine Street, and no one left an event hungry. Martha exuded warmth, and left behind so many who loved her and truly believed her to be their "second mom" and/or "honorary grandmother." In 1996, she and Jeff embarked on a new career when they took over Vaughan Street and made it into a successful gourmet sandwich shop. Regular customers loved Martha's focaccia bread and her baked goodies, not to mention the creative sandwiches that she and her staff created. She and Jeff built a great following and her lemon ice cream was even featured on CBS's The Early Show segment. Holly Lord, Kris and Jamie Isaacson, Gretchen Lape and Howard Youngstein, Mandy and Bruce Freeberg, and brother Chip and his wife Lori Lape, along with several nieces and nephews. A service to celebrate Martha's life will be held on Sunday, Sept. 30, at 3:30 at the First Parish Church, 425 Congress St, Portland. Anyone who knew Martha would not be surprised that she requested a party, allowing her friends and family one more chance to gather. This party will be held within walking distance of the church, at The Portland House of Music at 25 Temple St., Portland, immediately following the service. The outpouring of love and support has overwhelmed her family.